Let’s Tilt The Pods Framework Conference! 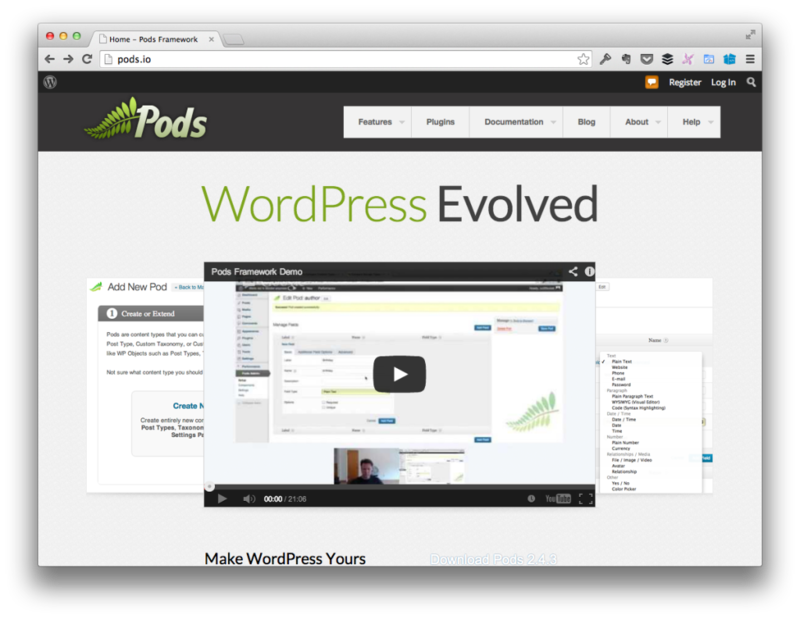 For those of you who aren’t familiar, the Pods Framework, it’s a relatively simple concept that introduces some really neat, advanced features into WordPress. The goal was to create an interface and PHP codebase to easily create, extend, and manage content types within WordPress. While the normal WordPress content architecture is limited to the built-in tables, a primary feature of Pods allows you to base content types off of their own custom tables designed around each content types’ needs. Neat, right? What’s even cooler is that the Pods development team is hosting their very first conference this October in DFW. Scott Kingsley Clark is the development lead of the framework. He works at 10up and has been doing amazing work leading the effort on the WordPress Metadata UI. Josh Pollock is the community manager for Pods. He’s built solutions for individuals, businesses, [free] WordPress plugins, and he’s contributed a number of educational articles specifically focused on WordPress. But these two are any representation of the type of people who work on Pods – and they are – then it’s clear there’s a stellar team. You Said Something About a Conference? Yep – the first even PodsCamp is fast approaching. It’s bound to be a great time for all who are involved; however, if you’ve any worked on hosting a conference in any capacity, you know that it’s a lot of work (which comes in the form of time and money). 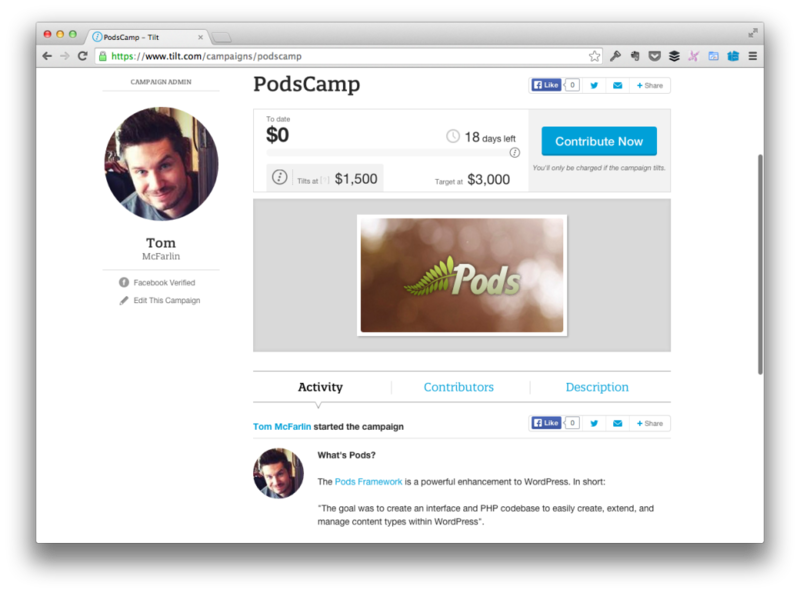 Though I personally believe that the conference would be able to raise the money needed to cover all expenses, I’d love for us – as the WordPress community – to be able to help raise some cash to help the Pods team host their very first conference. I know the guys working on Pods are fantastic people both in the product they are creating, and the work they do elsewhere. I know that the conference is going to be an amazing time for all people involved both those who are hosting and those who are attending (regardless of your skillset). I know that the WordPress community is generous because I’ve seen us raise enough funds for a variety of different causes. To that end, I’d love for us to help these guys put on their first ever conference in order not only to establish themselves in the conference space, but also to make sure that they have everything they need in order to make the experience memorable for all attendees. With that said, I’d love to see us Tilt this conference! I know that a number of you have likely already purchased a ticket, donated money, or helped in some capacity and that’s awesome – can you please help spread the word? If you’re still unsure about it, be sure to read the article on WP Tavern as well as on the PodCamp Homepage. For those who haven’t heard of the conference, are looking to go, or are looking to help out, then please consider donating to the conference in order to help raise money to put on an incredible event. 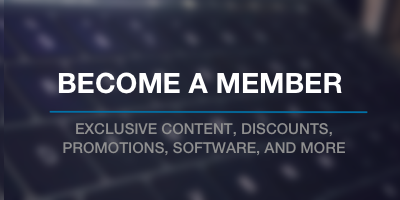 The team is doing great work, so – as those who are also looking to do the same within the WordPress economy – let’s help them do the same. You can visit the Tilt page to make your contribution and to read more about the event. All funds will go directly to the Pods Framework organization in order to help fund their first conference. If you’re looking to sponsor the event (rather than make a contribution to the event via Tilt), then please see this page, instead. It has everything you need to know. Regardless of if you opt to make a contribution via Tilt or via the sponsorship page, let’s do this – I know that we, as those all involved in WordPress, can make this happen. Comments are closed on this post. Email me if you have any questions at all!